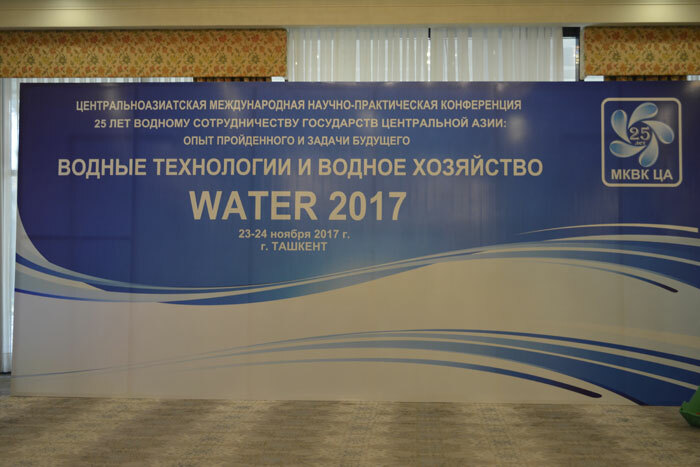 The Central Asian International Exhibition “Water Technologies and Industry – WATER-2017” was organized as part of the Conference. 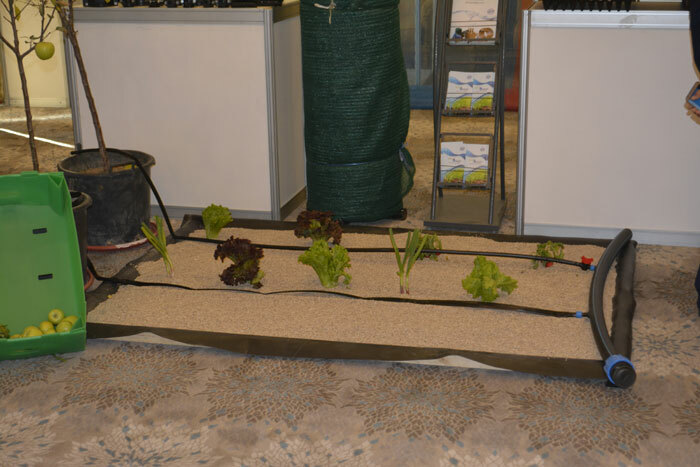 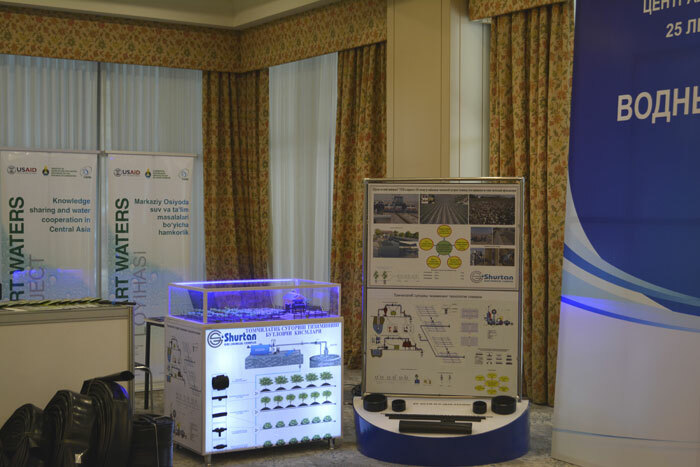 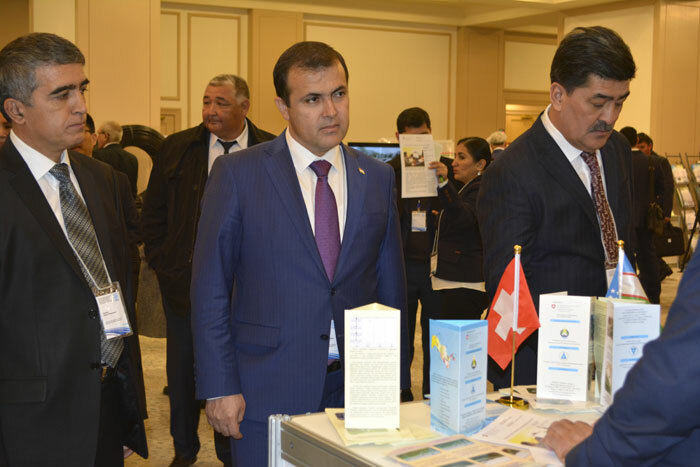 The exhibition focused on demonstration of best practices and scientific achievements in the field of water use and protection and on promotion of innovations for sustainable water management. 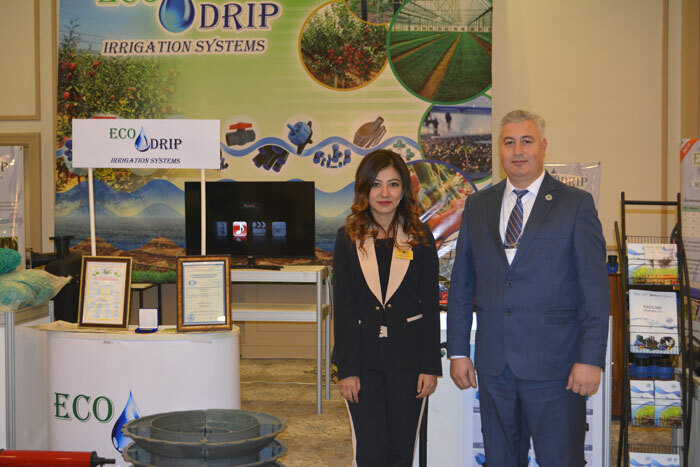 The exhibition covered such areas, as water conservation, automation of waterworks facilities, metrology and up-to-date water accounting facilities. 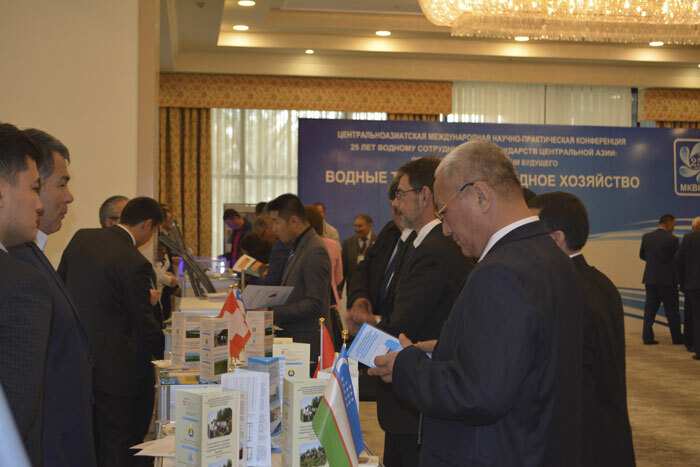 11 organizations and companies presented their booths and R&D products. 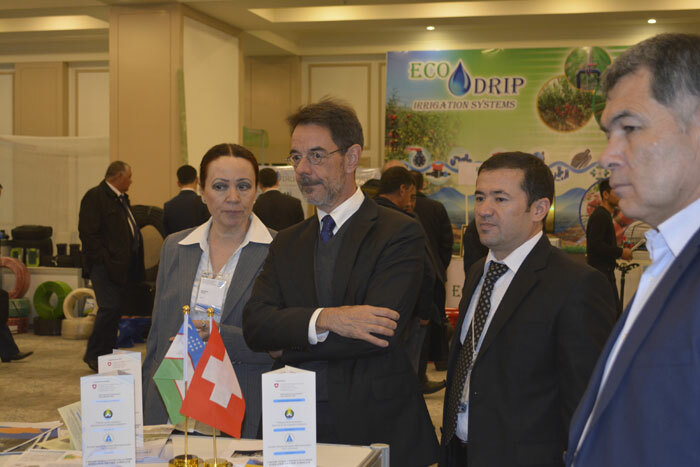 Among them were Tashkent Institute of Irrigation and Agricultural Mechanization Engineers (TIIAME) and Scientific-Research Institute for Irrigation and Water Problems at TIIAME, OOO “Eco Drip Lux” (drip irrigation facilities), OOO “Shurtangazkimyo” (drip irrigation model), AO “Zhizzakhplastmassa” (flexible hoses, polyfilm for furrows), AO “Uzsuvloyiha”. 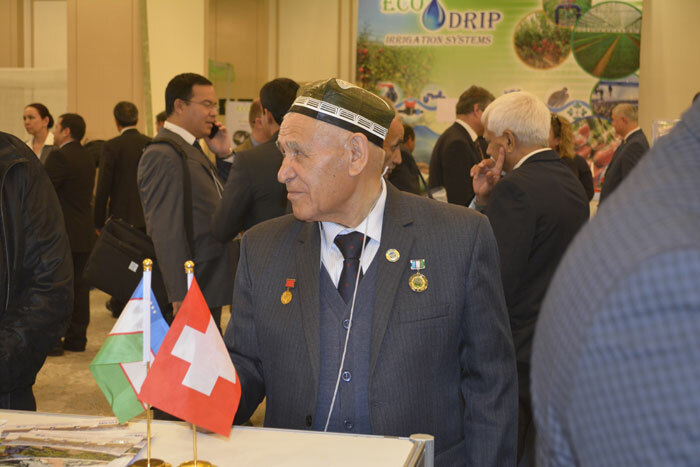 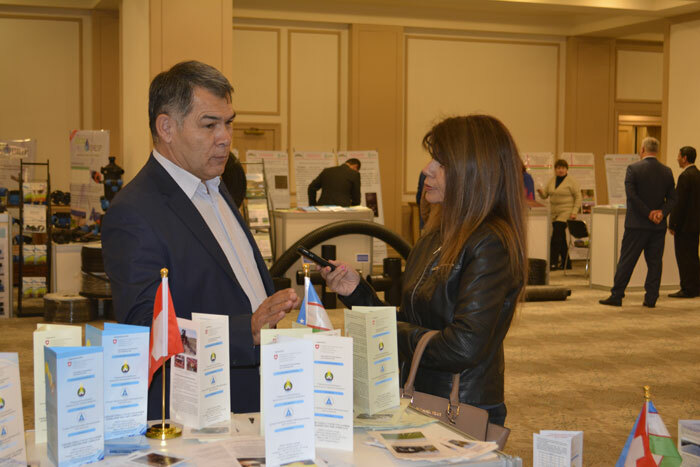 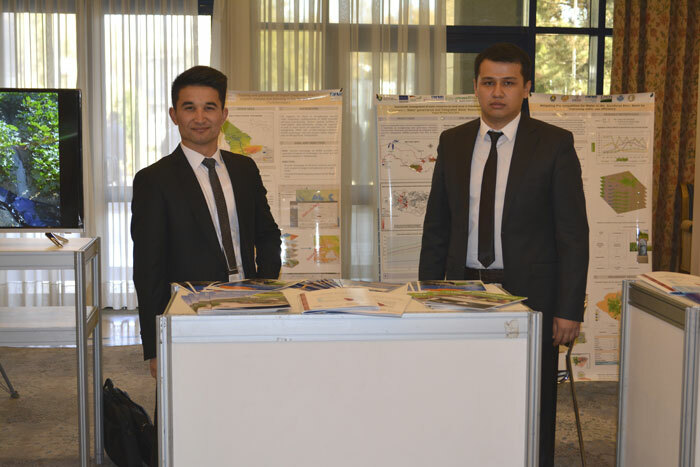 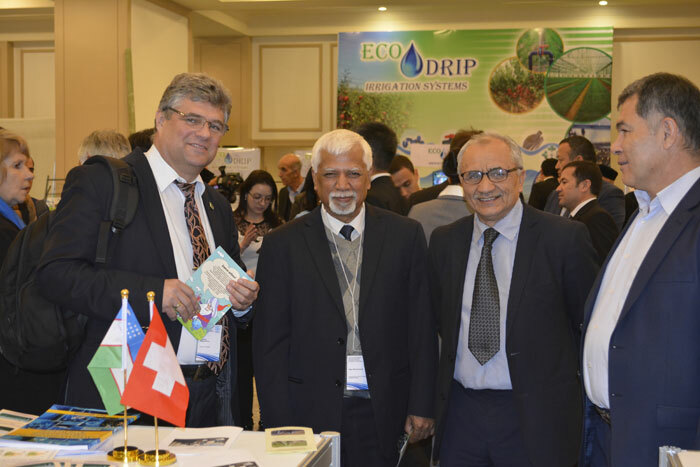 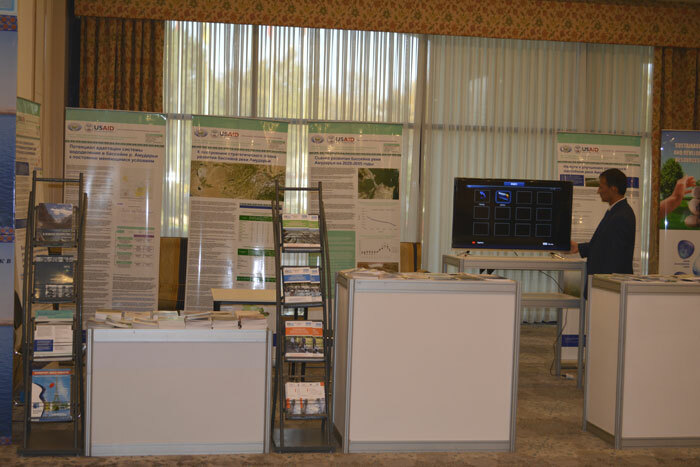 The Central Asian Regional Environmental Center (CAREC), International Water Management Institute (IWMI), Swiss Agency for Development and Cooperation (SDC), United Nations Development Program (UNDP), and Scientific Information Center of ICWC took part in the exhibition as well.